In South Africa universities offer a multitude of programmes from certificate and diploma courses to bachelor’s or master’s degrees programmes, PhD courses and post-doc studies. Many of these university programmes are highly recognised globally and attract a growing number of international students. Seven of the South African universities rank among the world's top universities. In particular, the high standard of the South African MBA programmes is renowned worldwide as these offer high-quality and value-for-money education and graduates from these business schools are highly sought-after by local and international employers. There are 23 public universities and numerous private colleges and universities. More than 60,000 international students study at universities in South Africa, most of them coming from the African continent, mainly from Angola, DRC, Congo and Cameroon. Overseas students come in the highest numbers from the UK, France, the USA, the Netherlands and Germany. South African universities take part in various international exchange programmes and also offer a support network and internationalisation programmes which value highly partnerships with universities, business schools and colleges from around the world. According to various global university rankings, the universities below belong to the top universities in South Africa. Please refer to their websites for more information. The University of Cape Town (UCT) is the highest ranking university in South Africa at 145th position globally in the 2013/2014 QS World University Rankings. The University of the Witwatersrand (Wits) in Johannesburg ranks at the 313th position and the University of Stellenbosch ranks at the 387th position of more than 800 universities surveyed globally. Stellenbosch University's Business School (USB) offers highly acclaimed MBA and MBL programmes and was named the top business school in South Africa in August 2014, for the third consecutive year! South African universities and colleges offer a wide variety of study programmes with different subject courses and the level and length of study varies especially with graduate programmes and thus should be researched thoroughly. There are three types of public universities in South Africa, the more academically oriented traditional universities, the universities of technology, also referred to as technikons, that put an emphasis on vocational education and the comprehensive universities, that value both orientations. Private university colleges, such as Varsity College, are a viable alternative for international students who do not qualify for entrance to a state university. Each South African province has several universities. As mentioned above, the most renowned institutions are located in Gauteng and the Western Cape. The most popular universities with a large number of international students and research staff are the University of the Witwatersrand and the University of Pretoria, both in Gauteng, and the University of Cape Town and Stellenbosch Universtity, both located in the Western Cape. 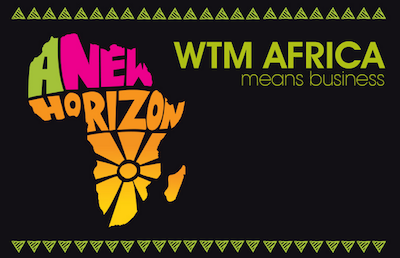 Scholarships are also available for foreign students from African countries, especially for postgraduate programmes. Several South Africa universities also offer scholarships or bursaries for other foreign students. These are based on either academic merit or financial needs and have to be applied for at the universities. It is also recommended to enquire with your foreign university if there are any exchange and support programmes which are funded by foreign institutions or organisations. English-Medium Courses: Most courses at universities in South Africa are taught in English, some in Afrikaans. Be advised, that students coming from non-English speaking countries must provide proof of proficiency in English. International Orientation: About 7% of all students studying in South Africa are international students. The campuses in South Africa have a multicultural atmosphere, good facilities and the support for international students is extensive at many universities. Standard of Education: The standard of higher education in many subjects is first-class at many South Africa universities. The variety of subject taught at South African universities is huge. The reputation of the University of Cape Town is excellent for subjects such as English Language and Literature, Education and Training, Geography, Law and Legal Studies (all ranking among the top 50 universities in the world!). Study Cost and Course Fees: Tuition and living expenses are lower in South Africa than in many other English speaking countries such as the US, UK, Australia. Annual tuition fees for undergraduate studies are generally in the range of R50 000-100 000 and graduate studies cost around R30 000 - R50 000 per annum. The fees vary widely, not only depending on the institution, location and reputation of the South African university, but also on the chosen subject and programme. Remember that all foreign nationals taking up studies in South Africa have to hold a valid study visa for the respective institution before the start of the studies. The academic year in South Africa runs from January to December. The university year is divided into two semesters, from February to June and from mid-July to November. Students applying for studies in South Africa must provide a certificate of English proficiency from a recognized institution, such als IELTS score, TOEFL score or a Cambridge certificate with a pass in English at AS level. A matriculation endorsement or an exemption of matriculation certificate (due to having obtained a comparable level of education in a foreign country) is required when applying at a South African university. Sometimes, a national benchmarking test which is set by the universities, has to be written. Find out about times and requirements here. Foreign students also need to have a valid study permit to take up studies at a local educational institution. This applies for public as well as private schools, universities and colleges. When registering for studies at a local educational institution, a letter or certificate of acceptance will be provided from the institution detailing the chosen programme and the length of the studies. This letter of acceptance has to be submitted with various other documents such as proof of medical cover and sufficient funds or medical and x-ray certificates, when applying for the study visa. The process of getting a study visa is a lengthy one, be advised to apply as early as possible. Changes to visas can usually not be effected from within South Africa, the study visas have to be applied for before entering South Africa at the foreign mission or embassy in the home country of the student. Only foreign students already residing in South Africa with a valid temporary visa and having finished their schooling in South Africa, can apply locally for a renewal of their existing study visa. For requirements regarding study permits either contact the department of Home Affairs or a registered immigration consultant for advice. Did you know? Students with a valid study permit are allowed to work up to 20 hours per week. The University of South Africa, also called UNISA, is one of the largest open distance learning universities in the world. UNISA is also the world’s first correspondence university and is in existence as open distance learning institution since 1959. UNISA’s history reaches back even further to the year 1918, when UNISA and the University of Good Hope, which was founded in 1873, started collaborating. 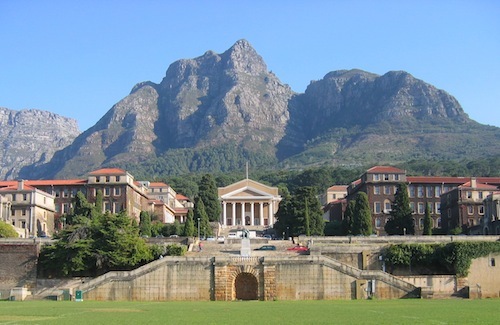 The oldest university in South Africa is, however, the University of Cape Town, which was founded already in 1829. Looking for more information on South Africa universities? Click on the book to view some sample pages. Our expat guide contains a comprehensive education chapter and is a most invaluable resource for international students. Here you will also find a listing of the biggest South Africa universities and colleges. 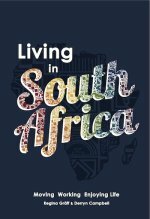 Order your copy of the Living in South Africa guidebook directly form us. Image Credits for South Africa Universities: Image of the University of Cape Town by Adrian Frith, wikicommons. Other images by SATourism, Shutterstock and own images.